Health insurance is something everyone needs. No matter how big or small your family is — or even if it is just you — people need to see doctors, go to the hospital, use medications. 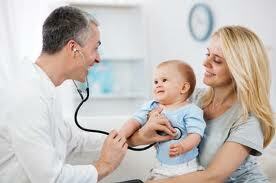 Health insurance keeps your costs low, so you don’t have to pay mounting doctor and hospital bills later in life. Health insurance helps the average person get the medical attention and prescriptions he or she needs to stay healthy for life. Without health insurance, every time you get sick you have to pay the bill to the doctors office or hospital. 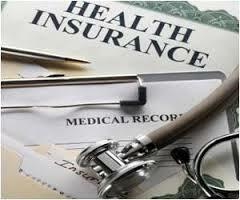 With health insurance you pay less, and the insurance company pays the rest of the bill. With family insurance, you give yourself protection for the future. You’ve worked hard to save your money. If you have to go to the doctor’s for a broken bone, it could cost you hundreds of dollars in bills. With health insurance, you will cut that in half, or even less, depending on the plan that you choose. Your family’s health is important, but so is your financial security. Do the right thing, purchase health insurance so you never have to put off seeing a doctor or getting emergency medical care. Without some type of basic health insurance for your family, it can be difficult to make that decision to take a family member to the doctor. A sore throat, a fever, or for other problems may go untreated because you are not sure you want to spend the money on something that the doctor may or may not need to treat. Without health insurance, family member may end up being sick longer and suffer more. Make that decision easier for your family. With health insurance you pay the co-payment or deductible and that’s it — they get the attention needed for their problem. Health insurance does not have to be expensive. Finding affordable health insurance is at your fingertips. You just need to do a little investigating. Determine what you need coverage for. If you want protection against huge hospital bills, and you don’t mind paying for doctor visits, your insurance premiums could cost less. If you choose a deductible that is higher, such as a thousand dollars, your payments will be lower compared to those who have a deductible that is $250. Play with the numbers and the compare the various types of insurance to determine which insurance coverage best fits your situation.